Shelley Head has been in Gainesville for 11 years and is originally from Lubbock, Texas. She began her career as a paralegal working in oil and gas industry in the Lubbock area, then on to litigation in the Dallas/Fort Worth metroplex area for several years and then moved on to complex litigation in Chicago. Upon her return from Chicago, Shelley found her way to Gainesville as a paralegal for B-29 Investments. In 2015, Shelley started a new business, Songratus Land Solutions & Services, LLC, as a licensed right-of-way agent and specializing in land services, including land transactions and oil and gas negotiations. Shelley is involved with CASA, United Way Power of the Purse, Moving through the Mud with Landon, Missy’s Pals Relay for Life, Chamber’s After Hours Ambassador Team, and currently serves as a Board of Director for Butterfield Stage Players. She has also been very active in multiple performances with Butterfield as well as volunteering for other community projects. David was born and raised in Denton, TX. He graduated from Denton High and attended NCTC for 2 years. He has been married to his wife, Angela for 24 years. They have 2 children, Logan and Larissa. David grew up in the scrap metal business. He started working along- side his Dad at the age of 10, learning the metal business. In 2002 he came to Gainesville to run the recycling business. He loves everything about Gainesville and what Gainesville stands for. In 2012, along with Angela, they opened DEF Recycling. Both of their children help out in the business. In 2013-2014, he attended and graduated from Leadership Gainesville. He is a member of the MOH Host city program. David & Angela are also members of the Gainesville Zoological Society. David is currently serving his 3rd term on the Institute of Scrap Recycling Industries Gulf Coast Chapter board, which covers 7 states. The Institute is the Voice of the Recycling Industry. He is also a board member for the Gainesville Butterfield Stage Players. He is on the board of the Blue Ribbon Club of Denton County, raising money for scholarships for youth in agriculture. 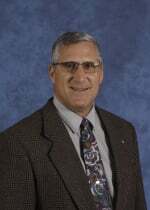 He is board member and president elect of the Gainesville Rotary Club for 2015-2016. He is now serving on the Gainesville Chamber Board. Amanda Riley was born, raised and still lives in Era with her husband Shane and two kids Gage 11 and Kailey 9. 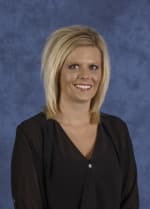 She has been with Nascoga Federal Credit Union for 8 1/2 years as the VP Marketing and Business Development and has enjoyed being a part of the exciting growth of the Credit Union. Amanda currently serves on the Cooke County United Way Campaign Co-Chair and is part of the Chamber Ambassadors. Leslie was born and raised in Cooke County and is a graduate of 2000 Lindsay High School. Leslie attended Midwestern State University, graduating in 2004 with a Bachelors in Business Administration with a major in Marketing. Upon graduation, Leslie and her husband Blake, who is also a Lindsay/MSU graduate, resided in Wichita Falls for ten years. During this time, they were blessed with two children, Avery, now 10 and Keller, now 7. 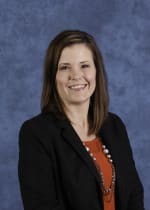 After several coaching moves, Leslie and her family were able to move back home in 2016 after both Leslie and Blake began employment at Gainesville ISD. Now in her second year as Director of Media Relations for GISD, Leslie has become heavily involved in the community. She is a member of Gainesville Kiwanis, Young Professionals of Cooke County, Leadership Gainesville Class of 2017, and is the United Way luncheon chair. Both children attend GISD schools and are active in the Boys and Girls Club after school program and summer programs, football, basketball, softball, and baseball. The Crutsinger family proudly resides in Gainesville. 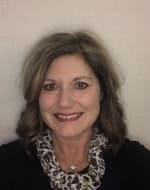 Brenda Starnes is the Sr. Director of Programs & Customer Service at Zodiac Seats U.S. She has been with Zodiac Aerospace for over 25 years. 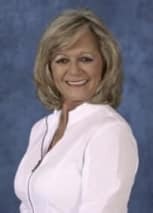 Brenda is a graduate of Pilot Point High School and holds a Master of Business Administration from Texas Woman's University. She currently resides in Callisburg with her husband Steve. Brenda enjoys spending time with her five children and seven grandchildren. Other interests include Baking, Community Activities, Cutting Horses and Ranching. John Walterscheid is a long time resident of Muenster. He graduated from Muenster High School in 1981 and is a North Central Texas College graduate. John and Dana Walterscheid raised four wonderful daughters, and now are enjoying their first two grandchildren. He has been employed at Cooke County Electric Cooperative Association, now Pentex Energy, for 38 years and is currently the Energy Management Advisor. John also owns and operates Koesler Haus Cabin Rental in Muenster along with this wife Dana. Community organizations and community service have always been a big part of his life. He served as past Board President of Cooke County United Way and is also a member of the Muenster Chamber of Commerce and the Gainesville Area Chamber of Commerce Board. He looks forward to working on the continued economic development of the Gainesville and Cooke County area. 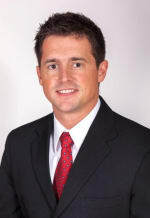 Brandon is a Muenster native, graduating from Sacred Heart in 1996. Upon earning his B.B.A. 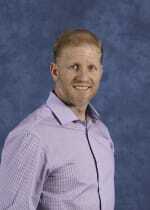 from Midwestern State University in 2001, he began his lending / banking career with Wells Fargo in the DFW area. In spring 2008, he and his family moved home to the Cooke County area, and Brandon began working for Muenster State Bank (Gainesville branch) as Vice-President. Brandon is a former president and is an active member the Gainesville Kiwanis Club, serves as treasurer on the Boys Baseball of Cooke County Board, Lindsay Youth Supporters Board member and a past member of the Cooke County United Way Board of Directors. He is married to Holly Harris-Bayer and has three children: Macy, 10; Maverick, 7; and Tennyson, 4. Brandon and his family reside in Lindsay. Dillon was born and raised in Cooke County and is a graduate of Lindsay ISD. 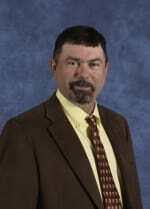 He has also earned an Associate of Applied Science Degree from North Central Texas College in Gainesville. After NCTC, Dillon furthered his education at the University of North Texas in Denton where he earned a Bachelor’s of Business Administration Degree in Operations and Supply Chain Management. Upon completing his education, Dillon accepted a position at ORTEQ Energy Technologies where he progressed through various roles and into his current position as Vice President. Dillon is currently a member of the Young Professionals Of Cooke County, the Gainesville Area Chamber of Commerce Board Of Directors, the Lindsay Knights of Columbus, the Cooke County Manufacturing Consortium, and the NCTC Industrial Technology Department Advisory Board. Parker was raised in Gainesville and is a 2002 GHS Graduate. He received his associates degree at NCTC and moved to Durant, OK to attend SOSU where he received a Bachelor of Business Administration Degree. Parker is married to wife Brittney and they have two children, Berkleigh and Beckham. They moved back to Gainesville in 2015. Parker is a Vice President at First State Bank and Brittney is a 1st grade teacher for Callisburg ISD. He enjoys traveling with his family, golfing, and playing other sports with his children. Jamie was born and raised, and still currently resides in the charming and alluring city of Gainesville, TX. 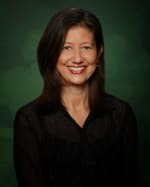 After taking a few of the finest courses money can buy locally at NCTC, Jamie went on to study at Texas A&M University, and then the University of North Texas where she graduated with a teaching degree. She worked briefly at St. Mary's school, before deciding to become further acquainted with her family's business, Kinne's Jewelers, which she now owns and operates alongside her lovely mother, Gina Dill. Jamie is currently in the process of earning her graduate diamonds certificate through the Gemological Institute of America. She is also a member of the Frank Buck Zoological Society, a strong supporter of CASA, and a member of St. Mary's Parish. More than anything, Jamie enjoys spending time with her husband, Jack Davis (Davis Cattle and Construction) and two wonderful daughters, Josephine (St. Mary's 4th grader and Boys and Girls Club baller) and Jules (19 months and we shall see!). Claudia was born and raised in Sao Paulo, Brazil where she received her associates degree in marketing and advertisement.